Life is hard and often lonely. This keeps bubbling up in my thoughts today. So I guess maybe today is a good day for reflection. People around me are going through some very tough times…and I’m not, comparatively. But what’s a comparison worth anyway? Should I feel better because they have it worse? Not so much. Still, perspective can be useful. I guess. 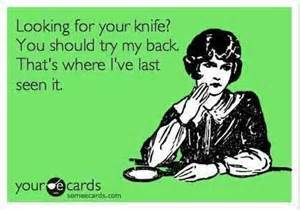 Though perspective does not really help when someone you think of as a friend basically stabs you in the back. All of these words to say I’m down today. I may be up later. Or I may not. Because, you know, life is hard, and often lonely.